Muriatic Acid is Hydrogen Chloride Gas in an aqueous solution. It is EXTREMELY CURROSIVE AND DANGEROUS. You must wear eye protection, plastic gloves, and a respirator. Do this outside in a vented area with a slight breeze blowing AGAINST YOUR BACK so the gas does not harm you. This is some SERIOUS stuff. Muriatic acid, when added to water, makes hydrochloric acid and the gas alone is enough to knock out an elephant. Always add the water first, then the muriatic acid because the chemical reaction can make it pop like a frozen chicken leg in a hot deep fryer. You can purchase this stuff at pool supply stores or home improvement warehouses. Disposing of this is a challenge in some places. Pool supply stores should be able to take care of any that you need to dispose of. Save yourself a ton of hassle and do not dispose of it yourself. The trash man WILL NOT take it. Clean the rock of excess algae and scrub it as clean as humanly possible. This will speed the process up a great deal and make the process easier to watch. The cleaner the rock to begin with the less murky the water will get. Put the rock in a plastic container like a bucket or a large tote. The container has to be large enough to fit the rocks so they are completely submerged. Keep in mind you will need to be able to dispose of the acid so do not use something that you won’t be able to move easily. Fill the container with water and measure the volume as you go so you know exactly how much water you have. This will be used later on to calculate how much muriatic acid to pour in. Add the Acid. 3% is the target percentage. Make sure to check the acid’s % on the package to make the correct ratio. Too much is going to be overkill and not enough may not work. 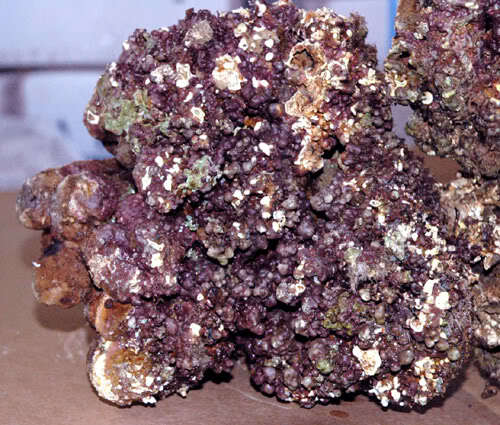 The acid should bubble when it is added to the water and when it is no longer boiling the acid is completely done dissolving the rock’s outer layer. Drain the acid bath into containers that can be safely disposed of. Muriatic acid makes terrible lawn food unless you like the dead look. Take the acid to a pool supply store to take the responsibility off your hands. They are professionals. Rinse the rock in new water as much as possible to get any excess acid and debris left behind. Keep your gloves on just in case. Soak the rocks in new water. The longer the better. Change the water a few times to ensure that all the acid is diluted out. Dry the rock. Set them out of aim of bird droppings and bugs that could potentially contaminate them if they die inside one. Once the rock is dry you can start your reef tank from ground zero. Bigger, better, and cleaner than before! The Acid bath takes certain precautions but is fairly simple. The hardest part is actually convincing yourself to go through with such a drastic measure in the first place! With help and the right tools you can easily bathe your rocks like a pro. No more dealing with problems found in old or dying rocks! 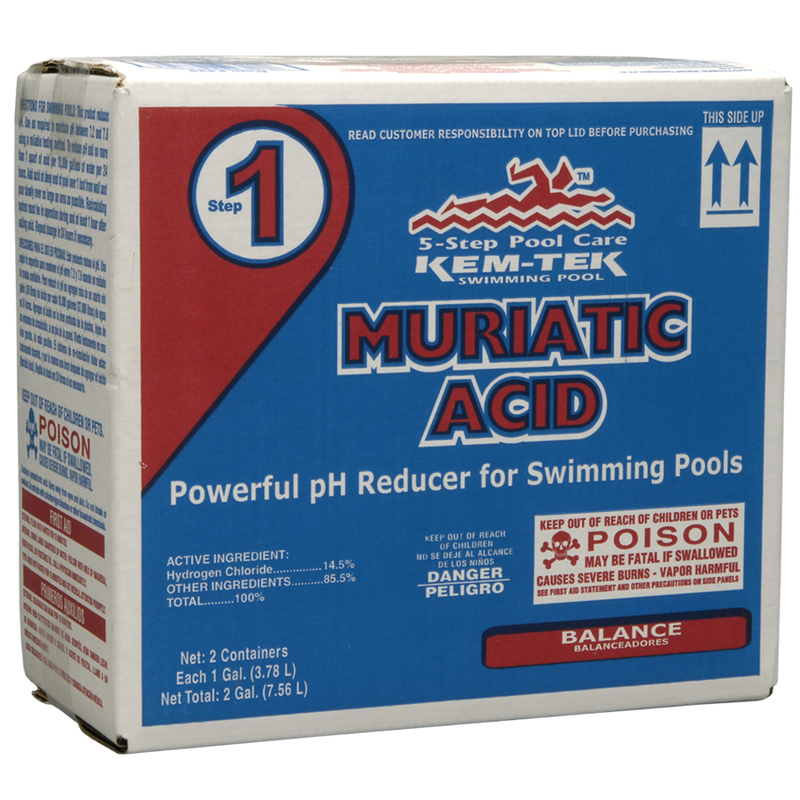 For more help or a second opinion on this drastic method, check out this discussion on muriatic acid.